Contact Us to learn more about MobileHelp Healthcare Solutions. Are you looking to extend the reach of your brand? Relating to your patients through branded education that is tailored to their specific condition can build trust and loyalty. By increasing the number of touch points at times when you cannot be present, your patients will appreciate the personalized service of receiving helpful health-related information and will have a more positive impression of your organization. By sending information that pertains to them, you build trust and loyalty. This personalized service will go a long way to not only ensuring the patient will continue to choose your organization for services in the future but also tell others positive things about the care the received. So who is going to create all of this content? MobileHelp can offer content from a library of specific educational health information on a variety of subjects from heart health, living with diabetes, women’s health, men’s health, nutrition, exercise and more. Our content can be targeted to various life stages including pediatrics, expectant mothers and seniors. 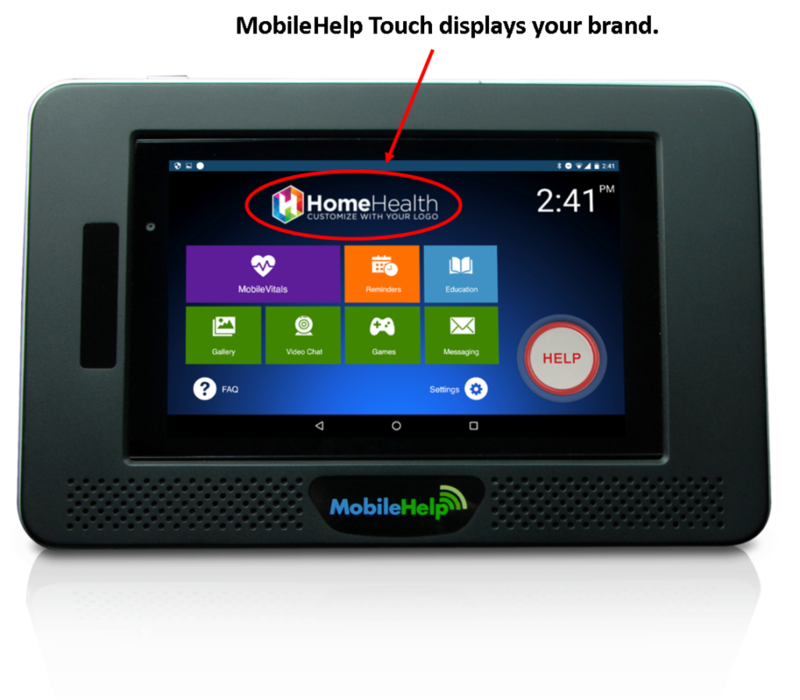 MobileHelp Touch is a tablet-based Remote Patient Monitoring (RPM) and Personal Emergency Response System (PERS) that can help manage your populations at home. MobileHelp Touch can be configured to deliver either application – RPM, PERS; or both applications to your patients. Patient and population deployments can be controlled remotely. In fact, all configurations can be customized and branded to deliver the program best for your organization. MobileHelp can manage and deliver it all for you, directly into the patient’s home on their MobileHelp Touch display. Our simple touch screen interface makes it easy to view content and our amplified speakers make it easy to hear.